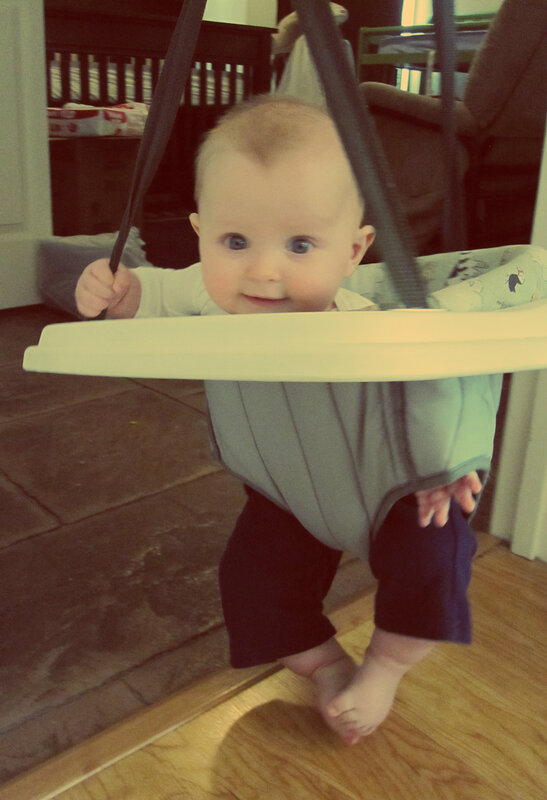 Nicholas has thoroughly been enjoying his Johnny Jump-Up. It's quite entertaining to watch how he propels himself with his chunky little legs. 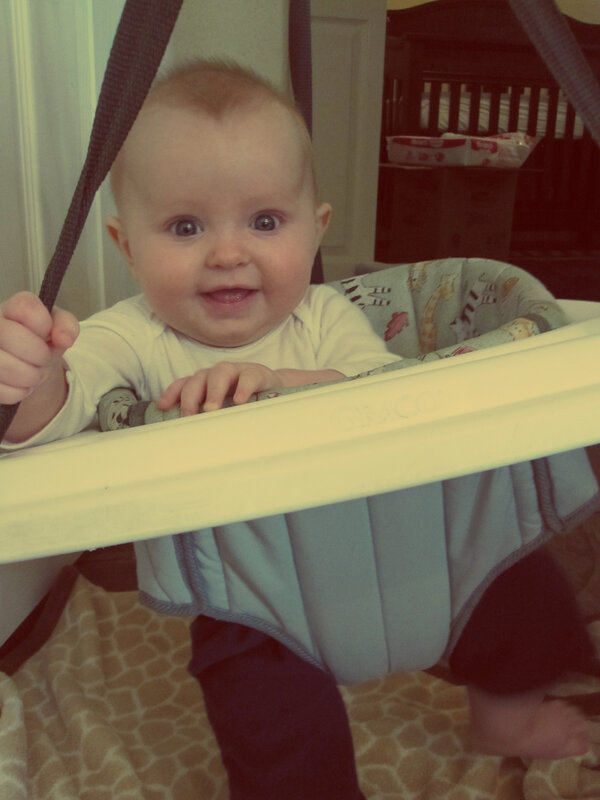 Teething has been a bit of a drag this week, so I'm happy to see him having some fun! 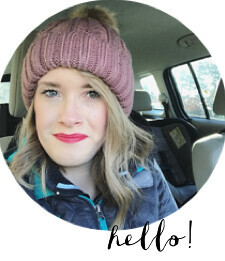 - Most new moms get a LOT of advice, but here is some truly helpful and inspiring advice for new moms from one of my favorite blogs. I think I need to read this everyday! You should too. - 20 of the best websites for pregnant ladies and new mamas. - I don't have a toddler yet, but I know that feeding toddlers can be a battle. Here are some yummy meal ideas for (and approved by) toddlers. I'm excited to try these out on Nicholas in a year or so! - I cherish the moments when I get a few minutes alone to throw on some foundation and mascara, but I don't have a lot of money to spend on makeup. Here is a great list of makeup and beauty products for people on a tight budget, like me! - My favorite find of the week! Check out the most creative family photo-shoot you'll probably ever see. Be prepared to laugh, gasp, and cheer. Have a wonderful weekend! Me and my boys are going to take our new car out for a spin! Looks like your little guy had fun. I love his little hand sneaking out of the jumper, leg hole! So precious...this is just the best age...cherish it! Isn't that funny? I kept trying to fish his hand out and put it on the tray, but he wasn't going for it. Thank you, I will try to cherish it as much as I can! Ashley, aren't they funny to watch? I love seeing how the world looks through their eyes. Everything is so exciting and new.